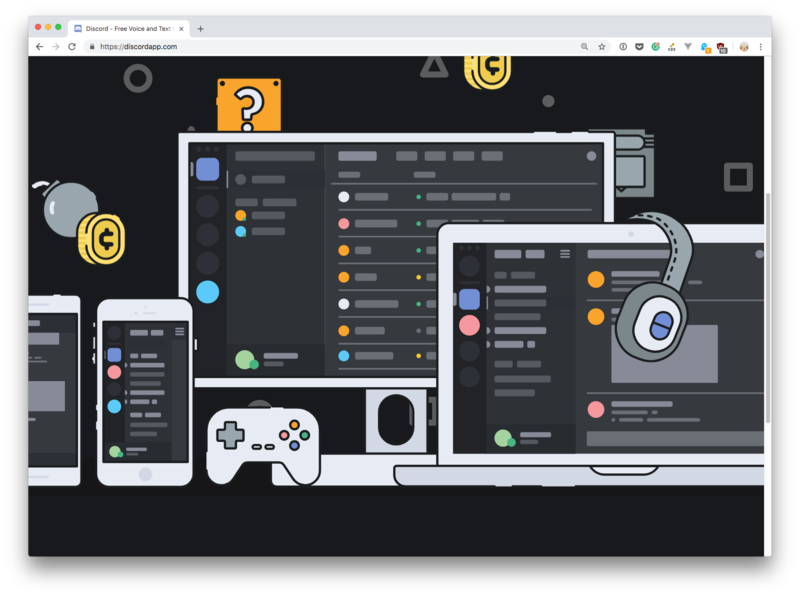 If you don’t know Discord, it’s one of the most popular chat applications among gamers and has attracted non-gaming communities as well. Communities are called Servers. 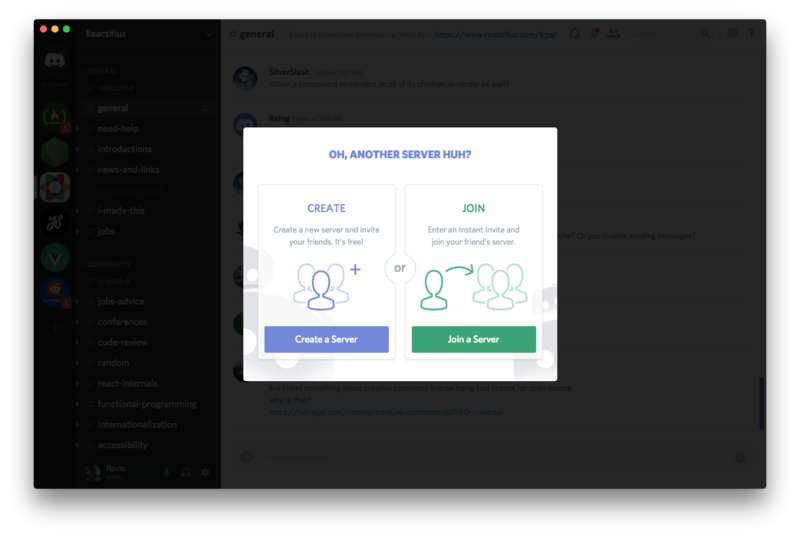 Each time you create a new one, you create a server, give it a name, and create several channels. In the programming world, I can mention Nodeiflux, Reactiflux, SpeakJS, Vue Land, and the /r/webdev server. There are many more, of course, those can get you started if you don’t know any community to join. But let’s get to the meat of the article. 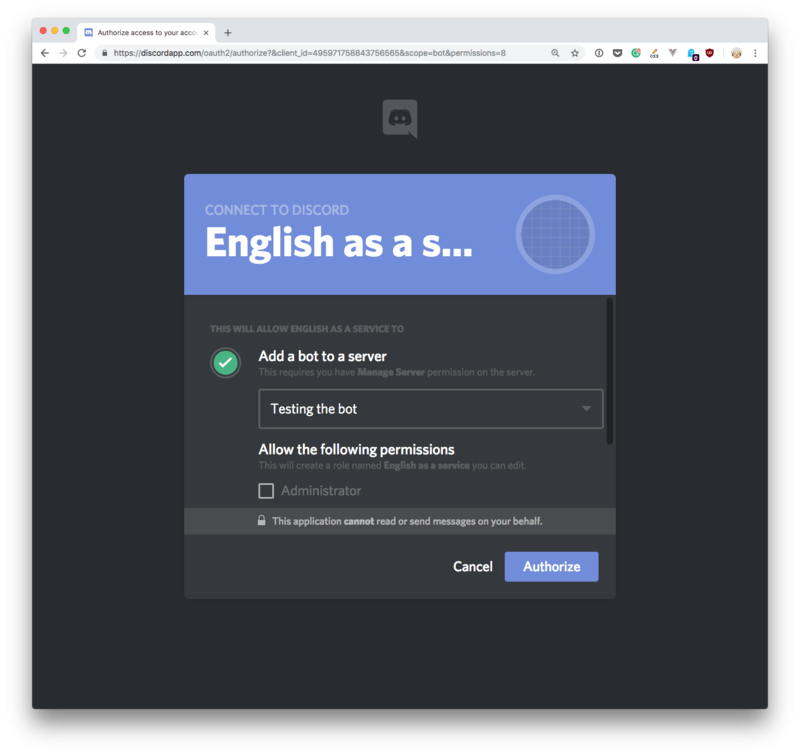 Say I just created a server, and before inviting my friends to join and discuss what’s the best JS framework (might not end well), I want to create a bot that will translate every word added to the channel that is not in English. 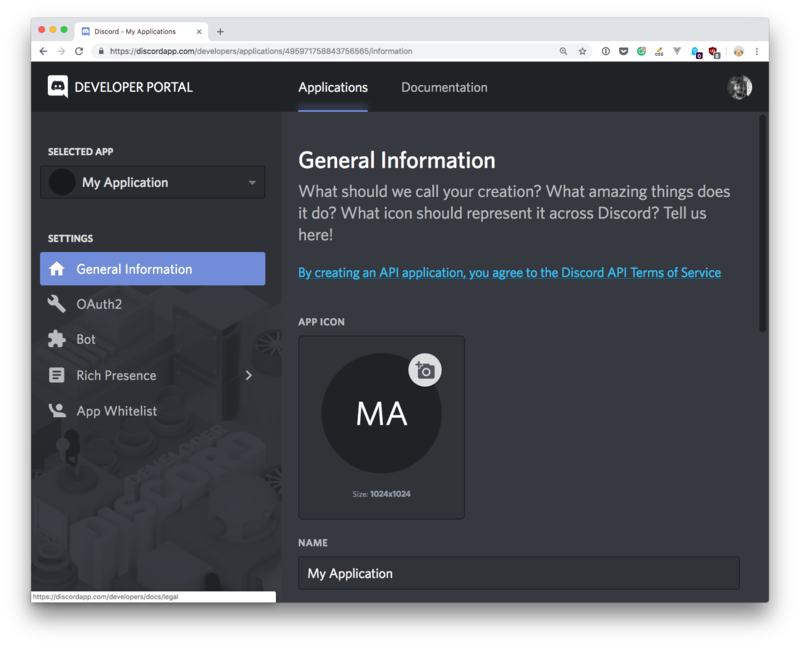 Discord provides a great documentation for developers at https://discordapp.com/developers/docs/intro. Make sure you check it out! 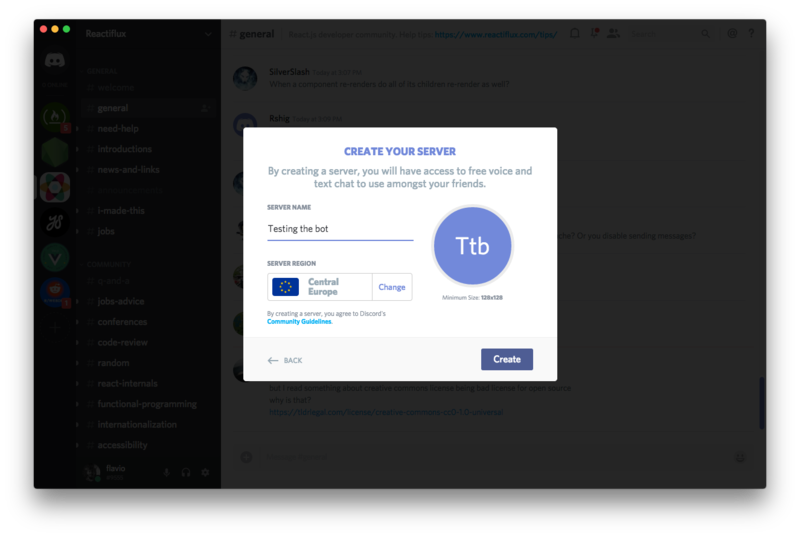 First login to https://discordapp.com and create an account if you haven’t one already. I’m going to call mine “English as a service”. Scroll a little and you’ll find the client id, a number that identifies your application. Save it somewhere safe, we’ll use it soon. Doing this will give life to our bot. The important thing that happens here is that Discord gives the bot token. We’ll need to use this in the Node.js bot code. Before going to the code, however, let’s add the bot to the server. First, for the sake of testing, create a test server. We’ll put our bot into it. and click “Create a Server”. I called mine “Testing the bot”. Make sure you fill the client id you saw before in this URL. You should see the bot joined your server! I’ll be using Glitch in this example. 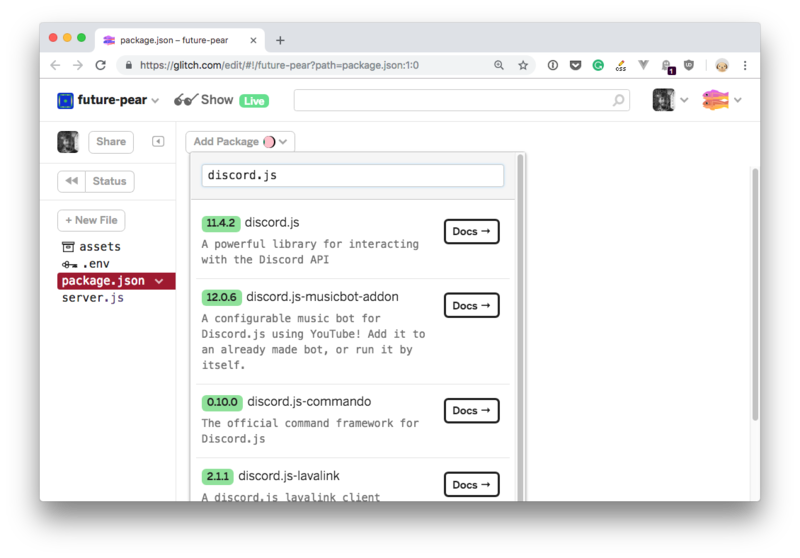 Glitch is a great service for this kind of thing — you can easily create applications, and they will run directly from Glitch — there are some fair use limitations, but for a simple bot it will be more than enough. Create an account on Glitch, then hit this url https://glitch.com/edit/#!/remix/hello-node-server to start a brand new Node.js application. 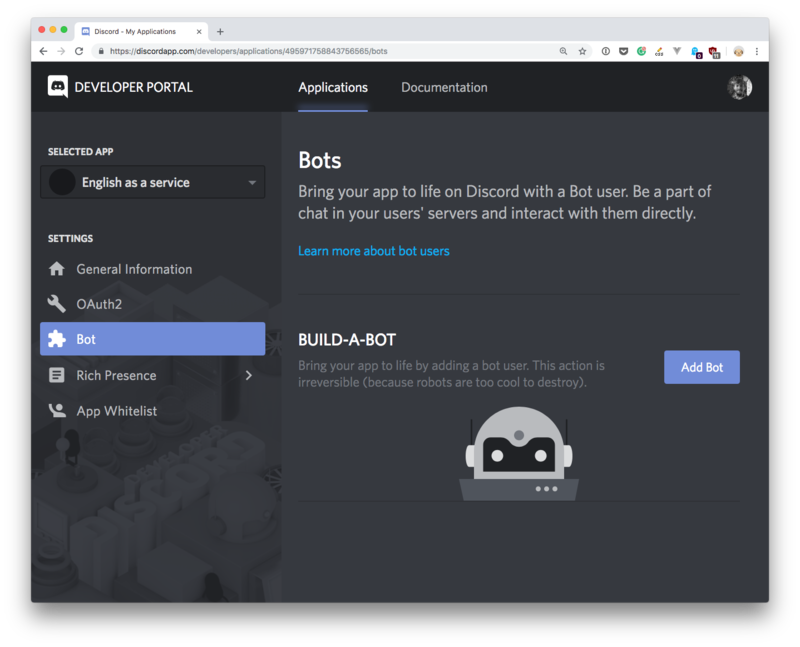 We’ll use the discord.js library to create our bot. Using a library makes all very easy since the tiny details are abstracted for us. 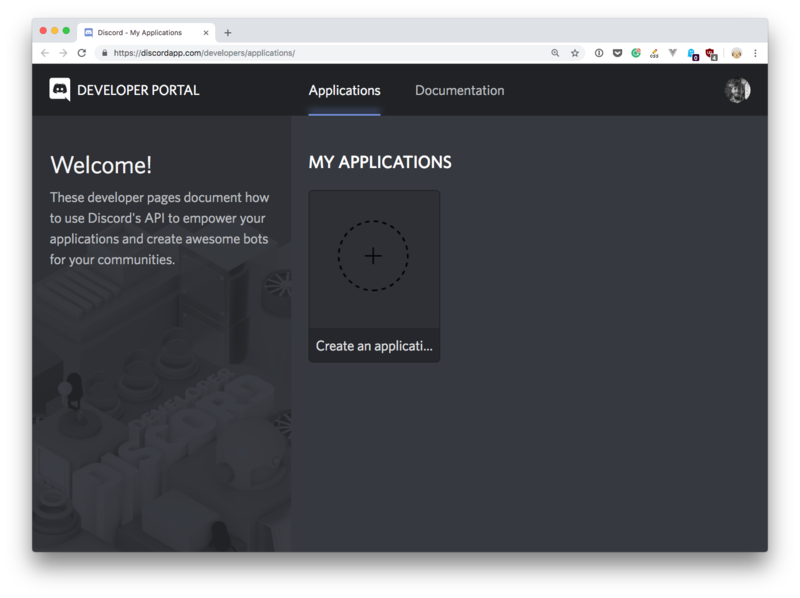 The app offers a great guide and a nicely organized API documentation. To import it in Glitch, open the package.json file, and click “Add Package”. Just click the library to install it using npm. Now open the .env file. This file is the way that Glitch offers us to handle secret tokens. Every app is publicly readable by default (you can make it private) but no one can read this file content, which makes sharing an application code quite safe. We can now focus on what the bot must actually do. It will listen for every message, ask for the translation to a service that provides them (we’ll use the Yandex Translations API) and if the answer is different from the words entered it means the original language was not English, and we can write the answer back. Go to https://tech.yandex.com/translate/. If you don’t have a Yandex account, create one for free. 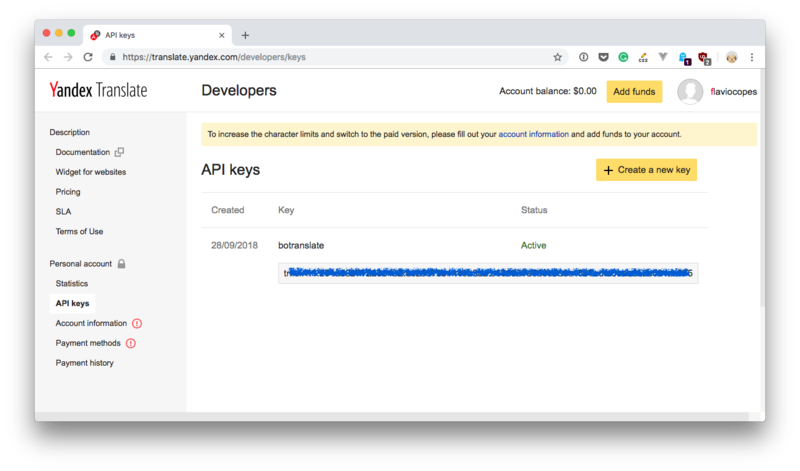 Now, store this API key in the .env file as YANDEXAPIKEY. The lang in the query parameter can take the form <from>-<to> or just <to>(in this case “from” will be guessed from the message). For example en or it-en. In our case, we’ll just guess the origin language, and we’ll use en as this parameter value. Using Axios (in Glitch, search for axios in the package.json “Add package”) we’ll perform a network request to the Yandex Translate API. What are we doing here? First, we listen for messages from the chat, as we did before with ping/pong. This time, however, we pass all messages through the Yandex Translate API, asking to translate to English if we get back a string different than the one we sent, it means the original language was not English, and we reply to the person with the translation (in this way the translation is linked to the original message). 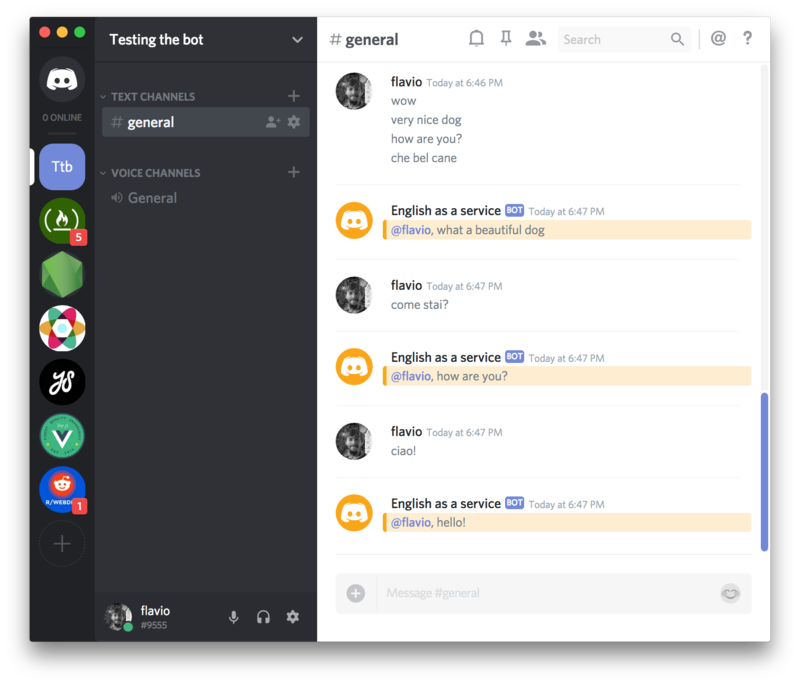 So, to wrap up, we created a Discord bot and used the Yandex Translate API to provide a translation service for our Discord server. 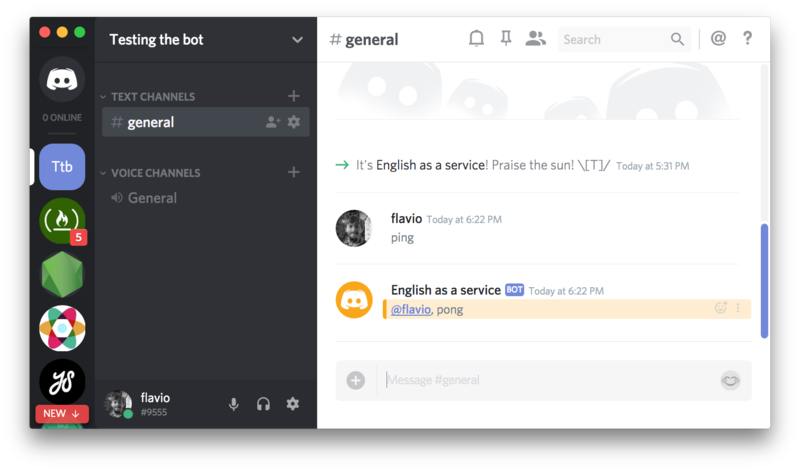 Our bot was developed on Glitch, and it’s automatically deployed there for free. 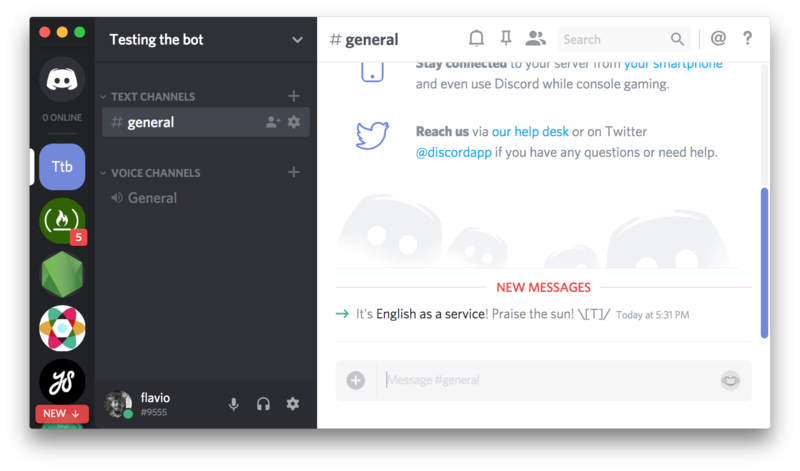 I hope this little introduction to Discord bots will help you create yours!